I’ve read at least enough about WW1 to be aware that its causes, and the steps made towards war, were very complex and contestable. There are plenty of historians, professional and amateur, who’ve suggested that, if not for x, or y, war may have been avoided. However, I don’t think there’s any doubt that a ‘force’, one which barely exists today, a force felt by all sides in the potential conflict of the time, made war very difficult to avoid. I’ll call this force the appetite for war, but it needs to be understood more deeply, to divest it of its vagueness. We know that, in 1914, lads as young as 14 sneaked their way into the militaries of their respective countries to experience the irresistible thrill of warfare. A great many of them paid the ultimate price. Few of these lambs to the slaughter were discouraged from their actions – on the contrary. Yet 100 years on, this attitude seems bizarre, disgusting and obscene. And we don’t even seem to realise how extraordinarily fulsome this transformation has been. Let’s attempt to go back to those days. They were the days when the size of your empire was the measure of your manliness. The Brits had a nice big fat one, and the Germans were sorely annoyed, having come late to nationhood and united military might, but with few foreign territories left to conquer and dominate. They continued to build up their arsenal while fuming with frustration. Expansionism was the goal of all the powerful nations, as it always had been, and in earlier centuries, as I’ve already outlined, it was at the heart of scores of bloody European conflicts. In fact, it’s probably fair to say that the years of uneasy peace before 1914 contributed to the inevitability of the conflict. Peace was considered an almost ‘unnatural’ state, leading to lily-livered namby-pambiness in the youth of Europe. Another character-building, manly war was long overdue. The historic figures who earned the honorific ‘So-and-So the Great’ were not great artists, scholars, doctors or inventors, people who enhanced human happiness or wisdom. They were dictators who conquered large swaths of territory and the people in them. If Hitler’s luck had held out a bit longer, he probably would have gone down in history as Adolf the Great. While I’m not entirely sure about that last sentence, these reflections are themselves an indication of how far we’ve come, and how far we’ve been affected by the wholesale slaughter of two world wars and the madness of the ‘mutually assured destruction’ era that followed them. The fact that we’ve now achieved a military might far beyond the average person’s ability to comprehend, rendering obsolete the old world of battlefields and physical heroics, has definitely removed much of the thrill of combat, now more safely satisfied in computer games. But let’s return again to that other country, the past. In the same month that the war began, August 1914, the Order of the White Feather was founded, with the support of a number of prominent women of the time, including the author and anti-suffragette Mrs Humphrey Ward (whom we might now call Mary) and the suffragette leaders Emmeline and Cristobel Pankhurst. It was extremely popular, so much so that it interfered with government objectives – white feathers were sent even to those convalescing from the horrors of the front lines, and to those dedicated to arms manufacturing in their home countries. Any male of a certain age who wasn’t in uniform or ‘over there’ was fair game. Not that the white feather idea was new with WWI – it had been made popular by the novel The Four Feathers (1902), set in the First War of Sudan in 1882, and the idea had been used in the British Empire since the eighteenth century – but it reached a crescendo of popularity, a last explosive gasp – or not quite, for it was revived briefly during WWII, but since then, and partly as a result of the greater awareness of the carnage of WWI, the white feather has been used more as a symbol of peace and pacifism. The Quakers in particular took it to heart as a badge of honour, and it became a symbol for the British Peace Pledge Union (PPU) in the thirties, a pacifist organisation with a number of distinguished writers and intellectuals, such as Aldous Huxley, Bertrand Russell and Storm Jameson. There was no PPU or anything like it, however, in the years before WWI. Yet the enthusiasm for war of 1914 soon met with harsh reality in the form of Ypres and the Somme. By the end of 1915 the British Army was ‘depleted’ to the tune of over half a million men, and conscription was introduced, for the first time ever in Britain, in 1916. It had been mooted for some time, for of course the war had been catastrophic for ordinary soldiers from the start, and it quickly became clear that more bodies were needed. Not surprisingly, though, resistance to the carnage had begun to grow. An organisation called the No-Conscription Fellowship (NCF), consisting mainly of socialists and Quakers, was established, and it campaigned successfully to have a ‘conscience clause’ inserted in the 1916 Military Service (conscription) Act. The clause allowed people to refuse military service if it conflicted with their beliefs, but they had to argue their case before a tribunal. Of course ‘conshies’ were treated with some disdain, and were less tolerated by the British government as the war proceeded, during which time the Military Service Act was expanded, first to include married men up to 41 years of age (the original Act had become known as the Batchelor’s Bill) and later to include men up to 51 years of age. But the British government’s attitude didn’t necessarily represent that of the British people, and the NCF and related organisations grew in numbers as the war progressed, in spite of government and jingoist media campaigns to suppress them. In Australia, two conscription bills, in 1916 and 1917, failed by a slim majority. In New Zealand, the government simply imposed the Military Service Act on its people without bothering to ask them. Those who resisted were often treated brutally, but their numbers increased as the war progressed. However, at no time, in any of the warring nations, did the anti-warriors have the numbers to be a threat to their governments’ ‘sunken assets’ policies. So why was there such an appetite then and why is the return of such an appetite unthinkable today? Can we just put it down to progress? Many skeptics are rightly suspicious of ‘progress’ as a term that breeds complacency and even an undeserved sense of superiority over the primitives of the past, but Pinker and others have argued cogently for a civilising process that has operated, albeit partially and at varying rates in various states, since well before WWI, indeed since the emergence of governments of all stripes. The cost, in human suffering, of WWI and WWII, and the increasingly sophisticated killing technology that has recently made warfare as unimaginable and remote as quantum mechanics, have led to a ‘long peace’ in the heart of Europe at least – a region which, as my previous posts have shown, experienced almost perpetual warfare for centuries. We shouldn’t, of course, assume that the present stability will be the future norm, but there are reasons for optimism (as far as warfare and violence is concerned – the dangers for humanity lie elsewhere). 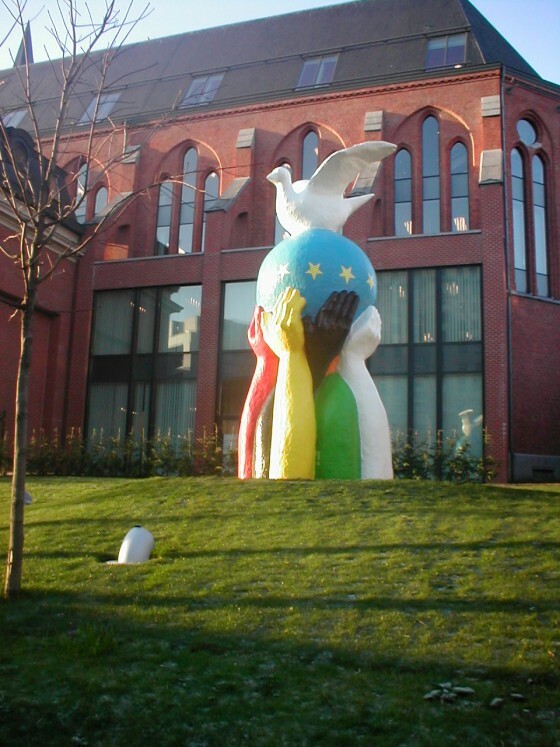 Firstly, the human rights movement, in the form of an international movement dedicated to peace and stability between nations for the sake of their citizens, was born out of WWI in the form of the League of Nations, which, while not strong enough to resist the Nazi impetus toward war in the thirties, formed the structural foundation for the later United Nations. The UN is, IMHO, a deeply flawed organisation, based as it is on the false premise of national sovereignty and the inward thinking thus entailed, but as an interim institution for settling disputes and at least trying to keep the peace, it’s far better than nothing. For example, towards the end of the 20th century, the concepts of crimes against humanity and genocide were given more legal bite, and heads of state began, for the first time in history, to be held accountable for their actions in international criminal courts run by the UN. Obviously, considering the invasion of Iraq and other atrocities, we have a long way to go, but hopefully one day even the the most powerful and, ipso facto, most bullying nations will be forced to submit to international law. Secondly, a more universal and comprehensive education system in the west, which over the past century and particularly in recent decades, has emphasised critical thinking and individual autonomy, has been a major factor in the questioning of warfare and conscription, and in recognising the value of children and youth, and loosening the grip of authority figures. People are far less easily conned into going into war than ever before, and are generally more sceptical of their governments. Thirdly, globalism and the internationalism of our economy, our science. our communications systems, and the problems we face, such as energy, food production and climate change, have meant that international co-operation is far more important to us than empire-building. Science, for those literate enough to understand it, has all but destroyed the notion of race and all the baggage attend upon it. There are fewer barriers to empathy – to attack other nations is tantamount to attacking ourselves. The United Nations, ironic though that title often appears to be, has spawned or inspired many other organisations of international co-operation, from the ICC to the Intergovernmental Panel on Climate Change. There are many other related developments which have moved us towards co-operation and away from belligerence, among them being the greater democratisation of nations – the enlargement of the franchise in existing democracies or pro to-democracies, and the democratisation of former Warsaw Pact and ‘Soviet Socialist’ nations – and the growing similarity of national interests, leading to more information and trade exchanges. So there’s no sense that the ‘long peace’ in Europe, so often discussed and analysed, is going to be broken in the foreseeable future. To be sure, it hasn’t been perfect, with the invasions of Hungary in 1956 and Czechoslovakia in 1968, and the not-so-minor Balkans War of the 90s, and I’m not sure if the Ukraine is a European country (and neither are many Ukrainians it seems), but the broad movements are definitely towards co-operation in Europe, movements that we can only hope will continue to spread worldwide. A few years back I read Niall Ferguson’s The war of the world: twentieth century conflict and the descent of the west. It was published in 2006. More recently, in 2011, Steven Pinker’s The better angels of our nature was published, and it would seem that the two books are talking almost exactly opposite tales. I’ve not read Pinker’s book, but I’ve heard him talking about it, and I understand the thesis pretty well. In fact I largely shared Pinker’s view even before he wrote the book, and before I read Ferguson’s. Not that Ferguson’s book wasn’t interesting and full of incident, but the central thesis of the west’s descent into a quagmire of violence struck me as unconvincing. The huge numbers killed in the 20th century’s two world wars, and in other conflicts such as occurred in Rwanda and Cambodia were partly the result of greater killing technology, partly the result of a massive population increase, and partly the result of ideological fixations being played out to their logical conclusions. Of course all these features – the technology, the population and the ideologies – are still with us, but other forces have gradually risen, at least in the ‘west’, to keep them in check. I’d like to look at those forces in detail in another post, but for now I want to take a look at violence, both domestic and national-political, in Europe over the past few centuries, because I think Ferguson’s greatest error in his book was selectivity. He chose to focus on the twentieth century, and his treatment of earlier centuries was cursory at best. Naturally he argued that there was an extended period of peace before the outbreak of the Great War, but even that limited claim probably wouldn’t stand up to close scrutiny. We’ll see. I’ll begin my overview of violence in Europe at around the year 1600, for no reason other than I have to start somewhere, and I don’t want the post to be too long. So I’ll be covering some 300 years, with the obvious understanding that life was no less violent before this period. I’ll start with war violence, and finish with the more complicated picture of state-sanctioned, public and domestic violence. In 1600 Elizabeth was still on the throne in England, and Spain was probably not yet fully conscious of its decline as a European power. There were plenty of tensions between these two countries, one newly Protestant, the other staunchly Catholic, but Spain had other concerns. In July 1601 the Flemish city of Ostend, in what is now Belgium, was subjected to what turned out to be one of the longest sieges in human history. Some 35,000 were killed or wounded by the time the Dutch surrendered to the Spanish in September of 1604. Considering that the total population of Europe was about a tenth of what it is today, that’s a significant figure. And it was only one event, albeit a particularly bloody one, in a long war, the Dutch War of Independence, also known as the Eighty Years’ War. A year before the siege, the Battle of Nieuwpoort, which the Dutch ‘won’ – their casualties were fractionally less than those of Spain – resulted in some 4,500 casualties. The long conflict – it lasted from 1568 until the end of the Thirty Years’ War of middle Europe, in 1648 – obviously resulted in many thousands of casualties, but merging as it did with the Thirty Years War of 1618-48, it’s hard to find a separate estimate. The Thirty Years’ War itself was the most horrific internal war ever experienced in Europe, to judge by percentage of the total population affected. Estimates of the death toll range from 3 to 11.5 million, an incredible figure, though nothing compared to the Mongol slaughter of the thirteenth and fourteenth centuries, which saw between 30 million and 60 million dead, a veritable emptying of the Eurasian population. The Treaty of London, signed in 1604, brought to an end what historians now call the Anglo-Spanish War of 1585-1604. Arguably this wasn’t so much a war as a series of battles or raids separated by years of tension and intrigue. The execution of the Catholic Mary Queen of Scots accelerated the conflict, the main events of which included the raid on the Armada by Drake in 1587, the destruction of the Armada in 1588, the disastrous campaign of the ‘English Armada’ in 1589, and a number of inconclusive skirmishes in the region of the Spanish Main in the 1590s. Casualties are of course hard to determine, but it’s estimated that some 25,000 died in the English defeat of the Spanish Armada, many of disease and hunger in the aftermath. Spain was also a belligerent in the Irish Nine Years War, which came to an end in 1603. This was an uprising of Irish clans, supported by the Spanish, against English rule. It resulted in more than 100,000 deaths, mostly Irish, and mostly of resultant famine and disease. Meanwhile, the Polish-Swedish War (1600-11) saw another waste of resources and manpower. It was largely due to the ambitions of Sweden’s Charles IX and the Catholic Sigismund II Vasa, and the truce that followed years of battle was short-lived. The resumption of hostilities was just another aspect of the Thirty Years’ War. I can find no clear account of casualties, but in one famous battle, the Polish-Lithuanian victory at Kircholm in 1605, some 6000 Swedes were apparently wiped out. In 1606, the Peace of Zsitvatorok brought to an end the Long War (1591-1606) between the Habsburg Monarchy and the Ottoman Empire, the first serious encounter between Christian and Moslem forces in eastern Europe since the Hungarians were slaughtered by the forces of Suleiman I at Mohacs in 1526. Significant events in this war included the Battle of Calugareni (1595), a major Wallachian (Romanian) victory, and the Battle of Keresztes (1596), a horribly bloody affair with massive casualties on both sides, with this time the Ottoman army scoring the victory. These two battles alone resulted in around 60,000 deaths. 17th century battles (since we’re supposed to be working from 1600) include Guruslau (1601) and Brasov (1603). War losses were heavy – certainly over 100,000. The War of the Julich Succession was a convoluted Middle-European conflict (1609-14) between forces supporting and opposing the Holy Roman Emperor Rudolf II’s attempts to expand Habsburg Territory. It involved a number of sieges and skirmishes and was another precursor to the Thirty Years’ War. The Polish Muscovite War (1605-1618) was essentially a series of incursions into Russian territory by the Polish-Lithuanian Commonwealth, at a time when Russia was wracked by civil conflict. Important events included the Battle of Klushino (1610) and the Siege of Smolensk (1609-11), which resulted in great loss of life, especially on the Russian side. The Ingrian War (1610-17) was an attempt by Sweden to also take advantage of Russia’s internal conflicts. It ended with the treaty of Stolbovo which stripped Russia of access to the Baltic Sea for about a century. These are the main European conflicts leading up to the Thirty Years’ War, which sucked most continental conflicts into it, up to mid-century. However, there was another conflict that can be clearly separated from it; the English Civil War (1642-51). This conflict directly killed more than 80,000 in England alone, at a time when the English population was around 5 million. As usual during this era, disease killed more people than combat, and war-related deaths are estimated at around 190,000. Related conflicts in Scotland in the period killed around 60,000 out of 1 million, and in Ireland the devastation was by far the greatest, with the best estimate put at over 600,000 dead – about 40% of the population. These conflicts are sometimes known as the Wars of the Three Kingdoms (1639-51), though the conflicts continued until the Restoration under Charles II in 1660. You might think that an exhausted peace would prevail after these massive British and European conflicts. You’d be wrong. The First Anglo-Dutch War (1652-4), an entirely naval affair, saw at least 5,000 deaths, and 1652 also saw the Battle of Batih, in which an estimated 8000 Polish forces were massacred by Crimean Tatars. But even before that there was plenty of conflict. In 1648, the year the Treaty of Westphalia brought to an end the Thirty Years’ War, civil wars erupted in France. These events have become known as the Fronde, and they lasted until 1653, when Royal authority was restored. Though the death toll was comparatively small, the turmoil was disturbing enough to cause the incoming monarch, Louis XIV, to move his residence out to Versailles. In 1654 the Battle of Shepeleviche marked the beginning of the Russo-Polish War, which ran until 1667. Smolensk was again besieged during the conflict. In one battle alone, the Battle of Okhmativ (1655), some 9000 died on the Russian side. 1654 was also the year of the first of the ‘Battles of the Dardanelles’, part of the Cretan War (1645-69), also known as the Fifth (yeah, that’s right) Ottoman-Venetian War, fought between the State of Venice and its allies and the Ottoman Empire. This one was fought over Crete, hence the name. Shortly after the Thirty Years’ War, Sweden, which had emerged from the devastation as a semi-great power, made a series of attacks on the Polish-Lithuanian Commonwealth, itself weakened by war with Russia and the Cossacks. These attacks became known in Poland as the Swedish Deluge, which reached its height between 1655 and 1660. Approximately one third of the Commonwealth was wiped out, and Swedish casualties too were very high. Sweden’s warmongering King, Charles X Gustav, also attacked Denmark to precipitate the Dano-Swedish War of 1558-60, but Dutch forces and later those of Brandenberg, Poland and Austria came to Denmark’s aid, and after the Swedish king’s death in 1660 a peace treaty, the Treaty of Copenhagen, was signed which decided the borders of Sweden, Norway and Denmark, the same borders that exist today. Meanwhile in Portugal, a revolution in 1640 had deposed the 60-year Spanish Habsburg monarchy, leading to skirmishes and more serious warfare with Spain, up to the Treaty of Lisbon in 1668. This 28-year period has become known as the Portuguese Restoration War. Portugal was already sporadically at war with the Dutch, mainly in relation to territories in Africa and the Far East, with the Dutch keen to muscle in on Portuguese Territories (complicated by the fact that the Portuguese were under Spanish dominion at the time). The Dutch-Portuguese War, largely a naval affair, lasted from 1602 to 1663. The Dutch were assisted by the British until 1640 when the Brits switched sides. In 1667-68 France, under their young and ambitious King Louis XIV, chose to invade and take possession of lands in the Spanish-controlled Netherlands, presumably because it was the done thing for a mighty Prince to prove himself on the battle field. The French were successful enough in this ‘War of Devolution’, but a Triple Alliance of England, Sweden and the Dutch Republic, together with other stakeholders, forced Louis to realise the limitations of his power, and he had to hand back most of his gains. This pointless but hardly bloodless campaign clearly indicates the fashion for warfare of the time. Louis wasn’t finished with the Netherlands, though. He sought to break up the Triple Alliance by seeking the support of the British against the Dutch Republic. He knew it was a shaky alliance because only months before it was made, the British and the Dutch had been at war. He also knew that Britain was concerned about Holland’s rise as a naval power, so he put all his energies into war preparations and alliance negotiations. In 1672, four years after the ‘War of Devolution’, the French army marched into what was then called the Dutch United Provinces, a month after Britain declared war. The consequent conflict, known as the Franco-Dutch War, lasted until 1678. The French gained a lot of territory, but lost the support of the Brits early on, and by war’s end most neighbouring nations had hostile relations with France. Again, virtually impossible to determine casualties, but military pundits claim 20,000 to 30,000 dead from one battle alone, at Seneffe (1674). 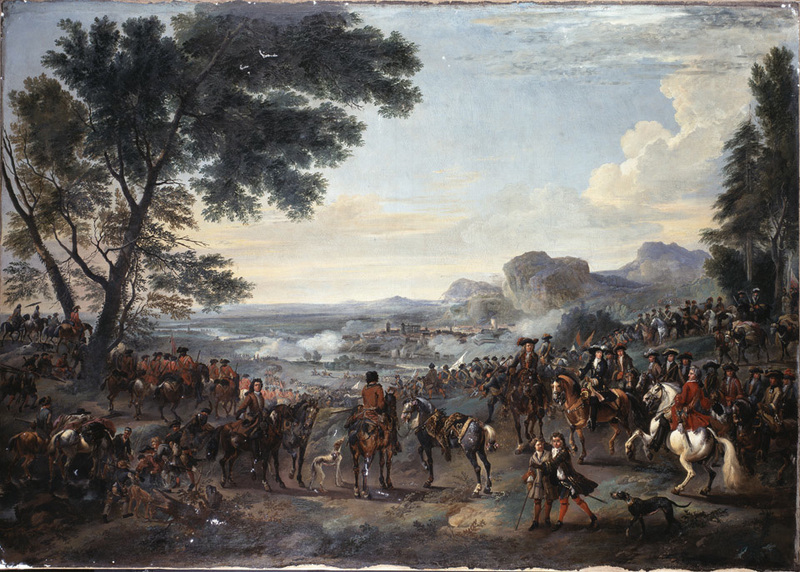 Swedish involvement in the Franco-Dutch War, on the French side, led to the Scanian War (1675-9), in which Denmark-Norway responded to a call for support from the Dutch United Provinces by invading areas of Sweden still in contention along the borders of Norway, Denmark and Brandenberg. Of course it was, as usual, a grab for power and territory. Scania is an area of what is now southern Sweden. The Danes scored most of the victories in the war, which further eroded Swedish power in northern Europe, but the Danes were forced by the Treaty of Fontainebleau (dictated by the French) to give up all their territorial gains. Another exercise in bloody futility. Meanwhile on the other side of Europe, the Polish-Ottoman War (1672-76) – aka the 2nd Polish-Ottoman War – arrayed the forces of the Polish-Lithuanian Commonwealth against those of the Ottoman Turks. After a number of battles and sieges and such, the Commonwealth was weakened to the extent that a number of foreign powers were encouraged to take advantage of it. However it rallied and scored some notable victories in the 3rd Polish-Ottoman War (1683-99), after which both Poland and the Ottoman Empire went into steep decline. The Ottoman Turks had also made war on the Russians (the Russo-Turkish War, 1676-81) to little effect, apart from much loss of life. In fact the period from 1683 to 1699 is referred to by historians as the Great Turkish War. The Turks lost a lot of territory in the period, but in spite of such disasters as the Battle of Zenta (1697), in which about 30,000 Turks died, they weren’t finished yet. In England the Monmouth rebellion of 1685, against the newly crowned but highly unpopular king, James II, a fanatical Catholic, was a harbinger of the ‘Glorious Revolution’ of 1688, inaccurately described as a bloodless revolution, which deposed James II and snuffed out the last hope of a return to ‘official’ Catholicism in Britain. 1688 also marked the beginning of the Nine Years’ War, not the last conflict of the seventeenth century but the last one I’ll describe here. This was a conflict between James II’s powerful successor William of Orange (William III of England) – allied with a number of other powers such as Charles II of Spain and the Holy Roman Emperor Leopold I – and the ever-ambitious Louis XIV. James II had fled to the French court after being deposed, and he sought French assistance to regain the British throne. Louis was in the process of wreaking havoc in the Rhineland – his forces completely destroying some 20 large towns, including Heidelberg, Mannheim, Worms and Speyer, and numerous villages – but he was still inclined to help his fellow Catholic regain his god-given throne. Other European leaders (both Protestant and Catholic) rightly or wrongly imagined Louis had hopes of make James a ‘vassal king’. Louis was probably sincere in his desire to see a Catholic returned to the British throne (I’ll write about his revocation of the Edict of Nantes and its aftermath when I come to state-sanctioned violence), but he also wanted to distract William from protecting the Low Countries (nowadays Belgium, the Netherlands, Luxembourg and parts of north-west Germany) from his incursions. He also believed, apparently, that William’s invasion would meet with greater hostility than it did, and that England would likely be plunged into civil war by the event. Of course, the campaign of James II, mostly in Ireland, backed by French gold, ships and generals, was a dismal failure. The continental campaign of the French waxed and waned, with notable victories at the Battles of Staffarda (1690) and Marsaglia (1693), and plenty of stalemates and stand-offs. The Wikipedia account of the Nine Years’ War is particularly good, IMHO. In the end though, with god knows how much loss of life, nothing much was achieved, and it ended with Louis XIV more or less back where he was territorially at the beginning of his reign. In the next part I’ll look at the eighteenth century.